In addition to developing recipes for The Roasted Root, I’m the author of three cookbooks, Delicious Probiotic Drinks, The Quintessential Kale Cookbook (formerly Let Them Eat Kale! ), and Paleo Power Bowls. Below you will find details on where you can purchase all three books as well as detailed information of their contents. 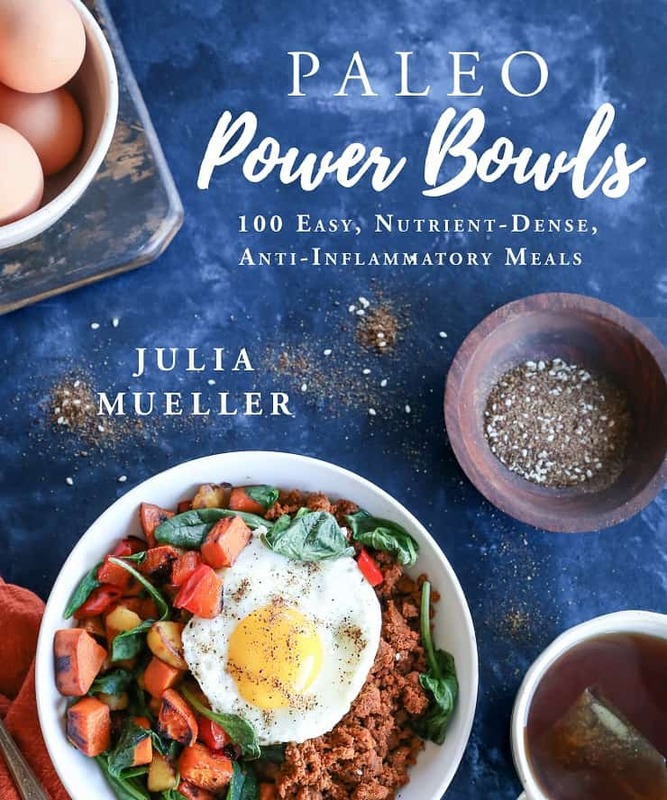 Paleo Power Bowls is available for pre-order through Amazon.com and was published January 15, 2019. Paleo Power Bowls includes 100 recipes for anti-inflammatory meals in bowls. This book is an amazing resource for people trying to manage an inflammatory disease or health condition through food, those simply looking to eat clean, nourishing meals. The introduction of the book provides my detailed history with gut issues and how I manage them through food and lifestyle, goes into detail about why one would choose to eat a low-inflammatory diet, digs into the science behind eating paleo, and provides a 30-day elimination diet. Bowl food is not only a healthful way of taking in your essential macro and micronutrients, it is also completely delicious and satisfying! For those who love prepping meals in advance, there are suggestions for meal prep options as well as recipe adaptations to suit your dietary restrictions. In addition to the 100 meal recipes, there are two bonus sections in the book for sauces, marinades, spreads, etc., and side dishes for filling your delicious bowls. Paleo Power Bowls is available on Amazon ! Delicious Probiotic Drinks is available for sale through Amazon.com and Barnes & Noble, WalMart, and select book stores! 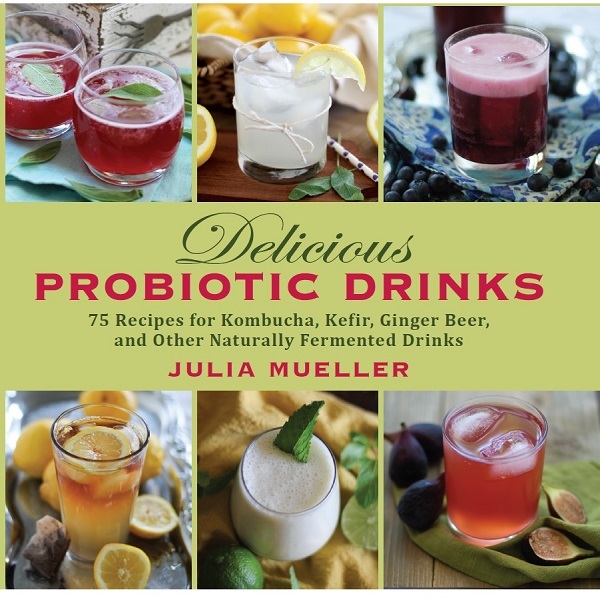 This book includes detailed instructions on fermenting probiotic beverages, such as kombucha, jun, ginger beer, lacto-fermented lemonade, cultured vegetable juice, rejuvalac, kefir at home! It also contains 75+ recipes for flavoring your probiotic drinks in order to make them completely delicious! Studies show probiotics help maintain healthy gut flora, thereby boosting your immune system, helping your digestive system break down food and absorb nutrients, and preventing you from getting sick. Those who have digestive disorders, such as Crohn’s Disease, Celiac Disease, Irritible Bowel Syndrom, ulcers, or Candida, may benefit from regular consumption of probiotic drinks. These drinks are also filled with Vitamin B, may and may help prevent obesity and disease. You can purchase the book now online through Amazon.com, Barnes & Noble, and WalMart! The Quintessential Kale Cookbook is available on Amazon.com . The Quintessential Kale Cookbook (formerly Let Them Eat Kale!) includes 90 healthful recipes for breakfast, appetizers, dinner, sauces, and soups, as well as information about the health benefits of kale, and tips on growing kale in your garden. This cookbook is being edited from its original version to include 15 NEW recipes and all new photos. Let Them Eat Kale! was released in 2015, and The Quintessential Kale Cookbook was published Jan 15, 2019. Kale is one of the most nutrient-dense vegetables in the world! Chock full of Vitamins K, C, and A, minerals and antioxidants, this hearty leafy green has been touted as a cancer-fighting superfood. This kale book is all is perfect for health enthusiasts as well as for those looking to improve their health! From the seasoned kale-eating pro to the kale newbie, this book has something for everyone! All recipes are easy to prepare, are full of health benefits, and most recipes are gluten-free. You will even find a healthy mix of vegetarian, vegan, and paleo recipes in the book! 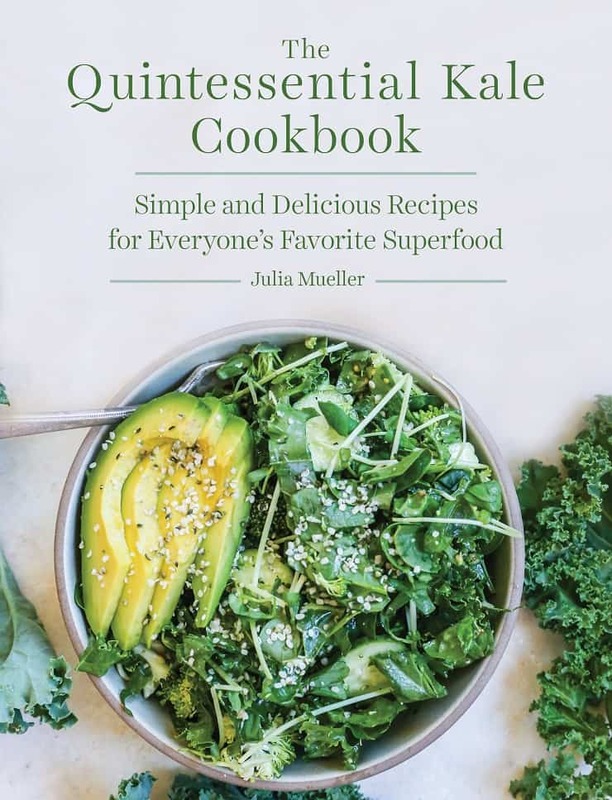 You can order The Quintessential Kale Cookbook on Amazon now!